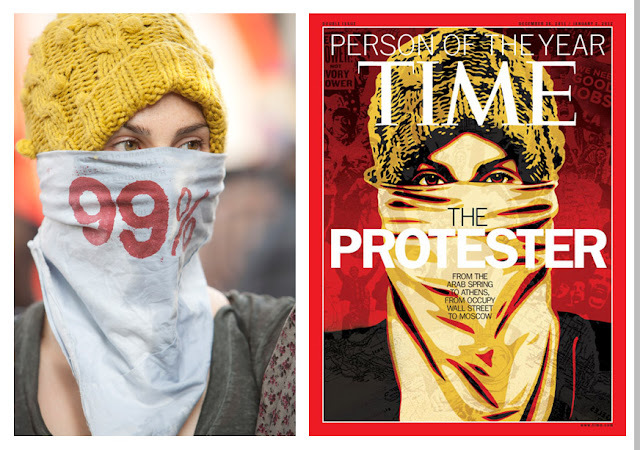 An image I photographed of an Occupy LA protester made it on the cover of Time Magazine. 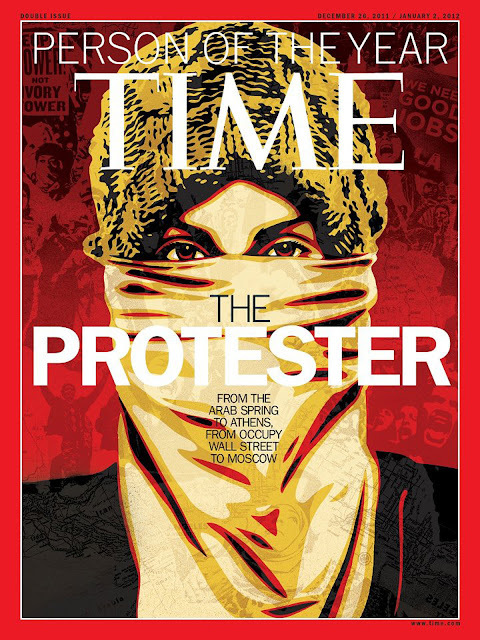 The image was adapted by artist Shepard Fairey and now represents Time Magazine's 2011 Person of the Year "The Protester." I took the photo at a protest at the Bank of America building in downtown LA. There was a small group of protesters linking arms and making a human chain around several tents near the front of the building. I made a few wide angle photos, then realized a tight shot was going to be way better. There was only one photo where eye contact was made, and that's the shot. The woman in the photo camped out at LA City Hall and was arrested during the LAPD raid and spent time in jail.